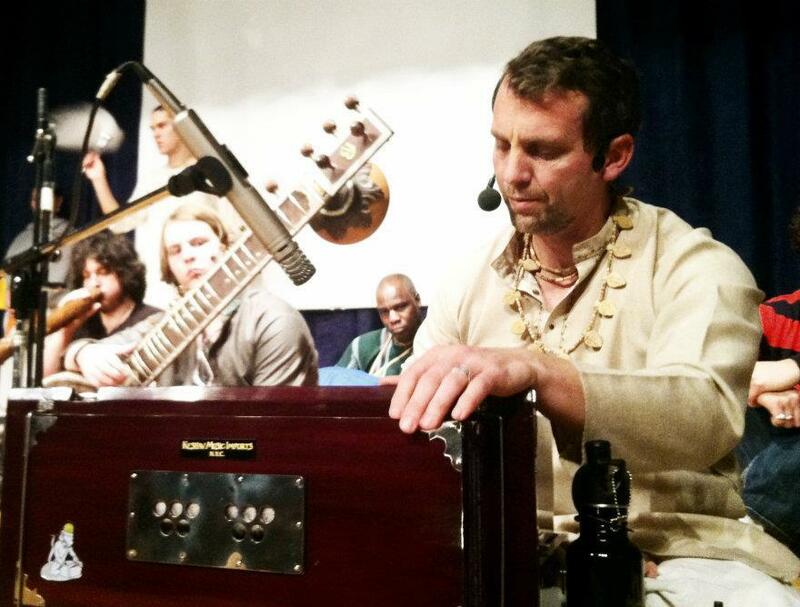 After 30 increasingly successful years of India Fest, few people in Utah County are unaware that, once a year, you can go to India without spending a lot of money. 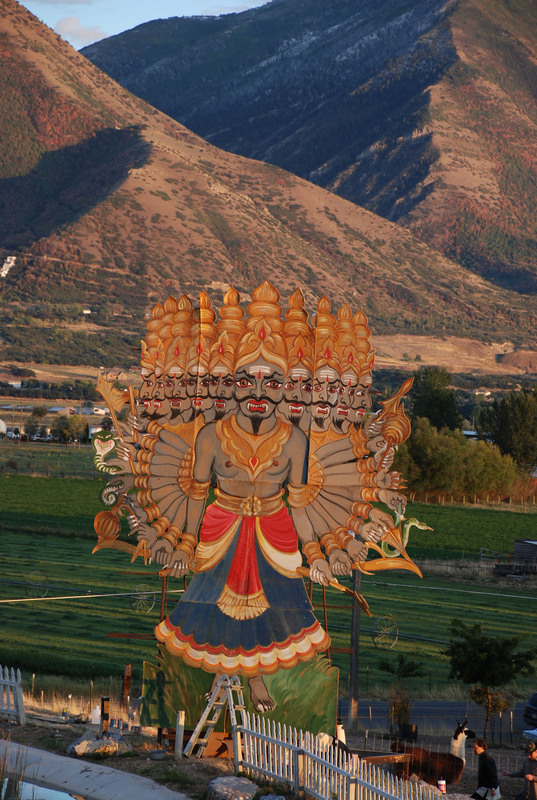 You can have India right in — of all places — Spanish Fork! After 29 increasingly successful years of India Fest, few people in Utah County are unaware that, once a year, you can go to India without spending a lot of money. You can have India right in — of all places — Spanish Fork! Now, this year an additional India fest will be held in Salt Lake City. The Sunday event in SLC will involve the same entertainers & Ramayana drama as in Spanish Fork, but will be held indoors for a maximum of 400 people, and, obviously, no fireworks. Over 4,000 people attended last year’s celebration in Spanish Fork, and the second, more modest SLC event will give a chance to visitors who want the same basic event without straying out of the city that weekend. Admission is $3.00 person/$1.00 children. 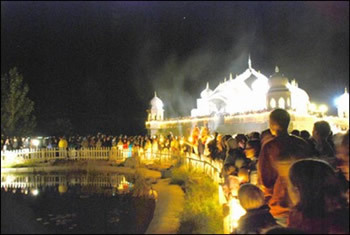 Set around the Rajastani-style, multi-domed temple, the eight acre festival site will feature world class entertainment, cuisine, a gift shop, henna hand decorating, art, photography, cultural exhibits on India, a gala pageant of the epic Ramayana, the burning of a 20’ high ten-headed demon named Ravana, and spectacular fireworks. We introduce ourselves as a professional dance company called “NADAM”-an acronym for “Narthan Academy of Dance and Music”, one of the premier institutions in Bangalore. 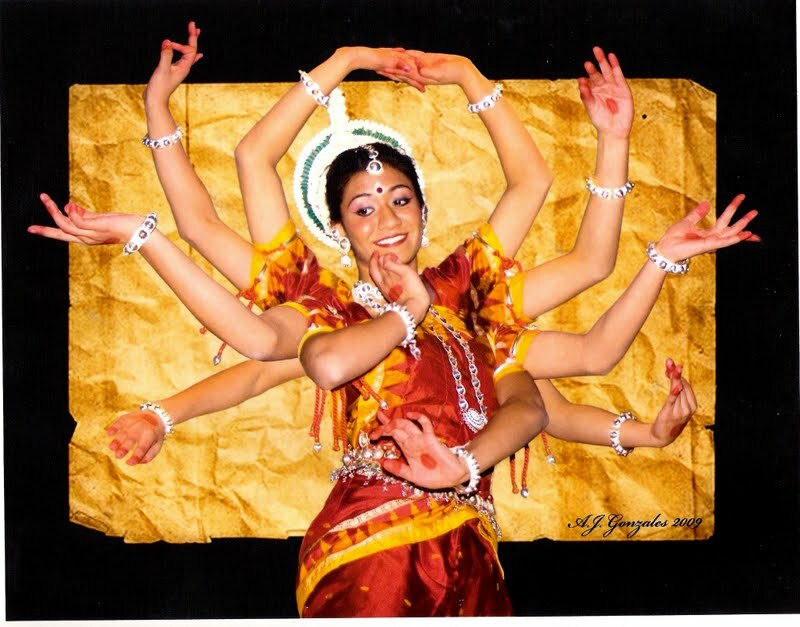 We are adept in the Kathak Style-one of the well-known Classical Dance Forms of India. We have imbibed the true essence of this traditional Dance Form and it is our sincere endeavour to preserve this rich, cultural Indian Dance Heritage. 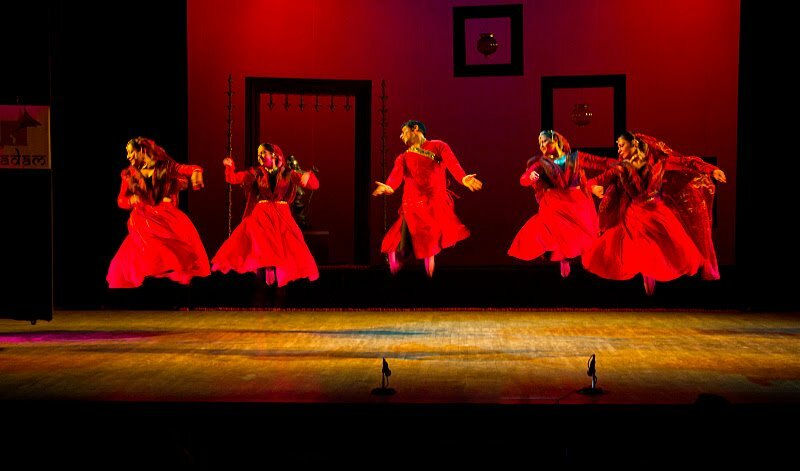 We are touring USA and Canada this summer (August-September,2012) with the NADAM ensemble, comprising of 10 dancers with “Kathak Ki Khanak”. 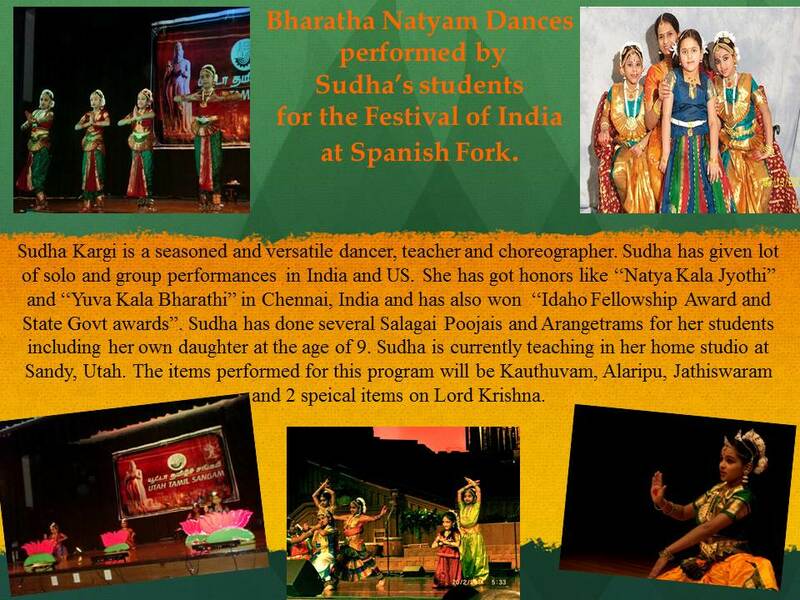 Showcasing other classical and folk dance styles of India will be Ankith Ray & Radhika Singhani (Bharat Natyam). 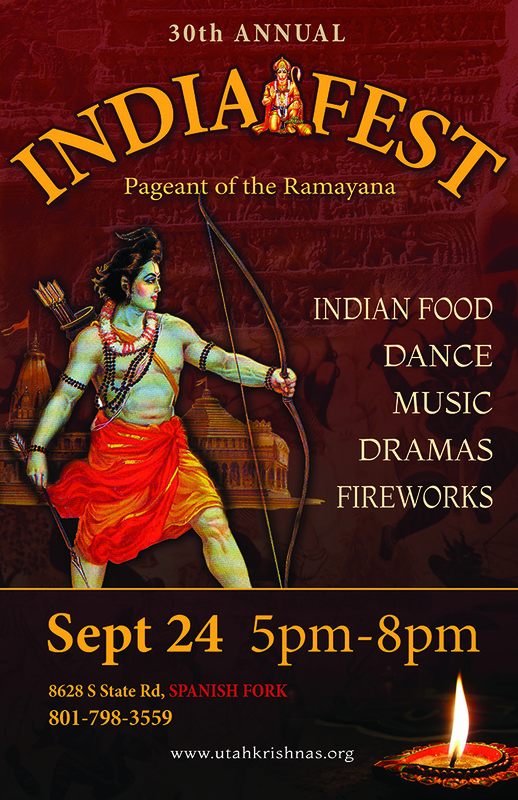 The main event 7:30 pm, will be a pageant of the world’s most loved epic, the Ramayana. It culminates at 8:30 pm with the spectacular burning of the effigy of evil Ravana with flaming arrows and fireworks. *Please note this last part of the burning of the effigy and fireworks will occur only in Spanish Fork. In SLC the pageant of the Ramayana will stop short of that point. Otherwise, both day’s programs will be the same. There are 400 parking spaces on the temple property. Parking is free. There is no need to park on the road, and walk a long way to the event. It is also advised to bring a blanket for sitting in the grass amphitheater and a jacket for the slight cooling after 8 pm.